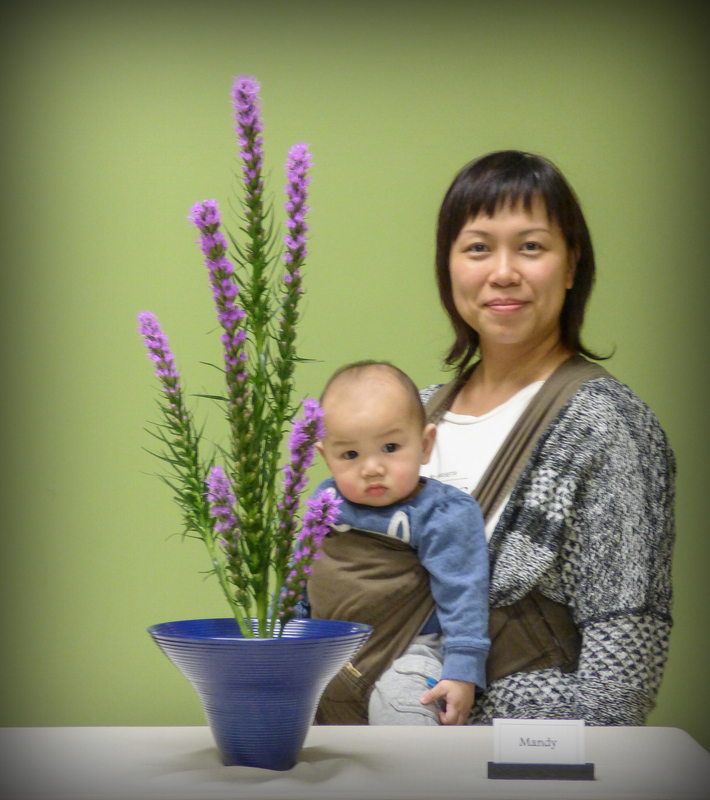 We often say ikebana is a life long practice and it is never too early to start. Jean-Marcel’s class worked on Shoka sanshuike this week using broom, variegated aspidistra and iris. The Beginners’ Series class worked with Brenda on shoka isshuike. Photos are posted here. This entry was posted in Ikebana and tagged beginners ikebana, Japanese flower arranging, shoka. Bookmark the permalink.